The DynEd program gave teachers the chance to focus their lessons on speaking activities which allowed students to consolidate and personalize what they were learning during their guided multimedia self-study sessions. This, along with the fact that DynEd's programs allow each student to study exactly at his/her own pace, made it possible for teachers to provide students with much greater individual attention. Students using the program for only 15 minutes a day show a tremendous amount of progress in a very short time. Our classroom teachers are impressed with the results... Our English learners have made gains in state testing. 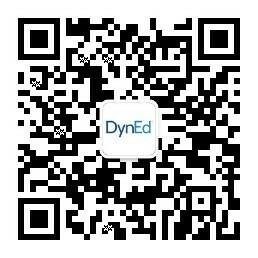 I am confident that the use of DynEd as part of our ELD program has contributed to that growth. DynEd enabled our engineers and analysts to more flexibly manage their studies as well as substantially reduce the time to reach a higher level of English. By integrating CALL with face to face classes and personalized books, their level of oral English greatly improved making it much easier for our employees to adapt to the specific business situations at Oracle Chile. DynEd is very dynamic. We teachers have learned a lot from the program. It has given us new insights in teaching English to our students. The world's best computer-assisted English language learning program. DynEd's very flexible and affordable per student subscription pricing policy, we will definitely be using these programs again in the future.